Another key demographic Donald Trump is poaching from Ted Cruz: cigar smokers. 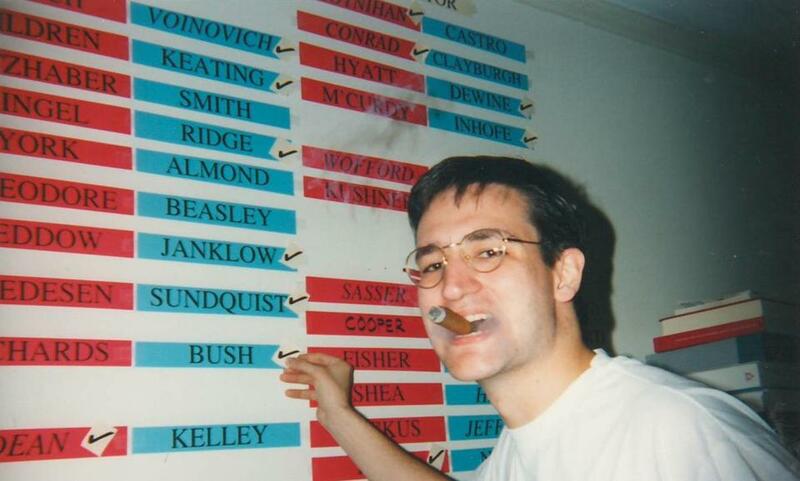 The senator from Texas really likes cigars, a fact he makes known in a number of ways. He puffs in front of photographers. He holds fundraisers titled, “Smoke A Cigar With Senator Ted Cruz.” And sometimes he just comes out and says it: “I do enjoy an occasional cigar. (I am Cuban after all),” he wrote in a questionnaire for The Dallas Morning News. How devastating it must be for Cruz, then, that in a poll by Cigar Aficionado—where William F. Buckley Jr. has a byline, and which gave Rush Limbaugh the cover treatment—he won the support of only 22 percent of the magazine’s Republican readers, behind Trump’s 39 percent and Marco Rubio’s 23 percent. Neither of Cruz’s top rivals has made much of an effort to court the cigar vote. “I used to smoke a little cigar here and there,” Rubio said earlier this month. “Now it’s just hard to do.” As for the Donald, he says he has never smoked. And now he’s won the support of a conservative magazine for men who love to do just that. First the evangelicals, now the stogie smokers. What’s next? Men who bald gracefully?